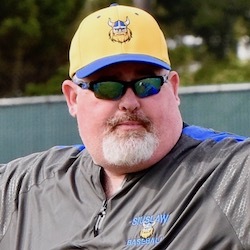 Siuslaw's second-year baseball coach, Tom Shinn, doesn't know what worries him more, Sky-Em League opponents or the weather. Both seem equally unpredictable. Both will be in question Tuesday when the Vikings open league play at Marist Catholic in Eugene. First pitch is scheduled for 5 p.m., with Coast Radio on the air at 4:45 p.m.
"It is tough entering league when we haven't played a game in almost two weeks," Shinn said Monday. "Weather has been a real struggle lately. "Trying to keep the team motivated and energized when you are only practicing can be challenging. I have tried to break things up and put some variety into practice." The Vikings begin league playing following a 1-6 preseason that included two rainouts. 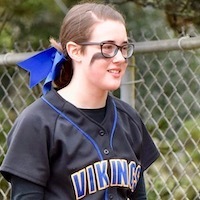 Siuslaw last played March 26, a 5-4 home loss to Neah-Kah-Nie. Marist Catholic is 4-4 and ranked No. 16 in Class 4A. No. 3-ranked Junction City and Elmira are each 6-2, Marshfield 3-4 and Cottage Grove 3-6. Shinn expects Marist Catholic and Junction City to be the teams to beat in league. "Junction City is always a very solid program," he said, "and Marist, having come down from 5A, where I believe they made the first round of the playoffs, should be good as well." Elmira already has twice as many wins as all of last season, when the Falcons finished 3-19. Marshfield has matched its wins from last spring, when the Pirates too were 3-19. "I don't really know much about the opponents in our league other than Marshfield," Shinn said. 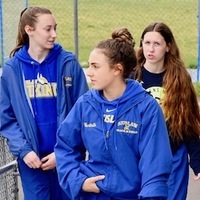 ""It appears from looking on (the Oregon School Activities Association website) that they are all doing very well." Siuslaw and Junction City are scheduled for a doubleheader at 3 p.m. Friday at Dodson Field.